Cheapest Way to Buy Nutrisystem? Here's How! Cheapest Way to Buy Nutrisystem? Here’s How! The 40% Off Promotion is Cheaper Long-Term! So, why would you pay more for the same thing at signup? In this case it’s because of confusing pricing at nutrisystem.com, but hear me out. 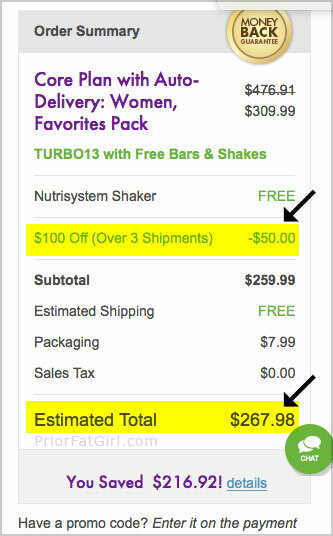 The 40% off promotion doesn’t look like the cheapest price because your first order will actually cost more than the $100 off promotion, but it locks in the discounted rate for as long as you’re on Nutrisystem! That means that the $100 off promotion is cheapest over three months only, but if you stick with a Nutrisystem plan, you’ll save big with the 40% off promotion. over the course of a year, your total will be over $100 less than the $100 off special. *Related: Best Nutrisystem promo code today? Use a promo code to get best deal! Note that if you use one of the two promotions above, you will be able to use a code for up to $30 off, but their $50 off code (SAVE50) won’t work. That promo code works towards their offers with lesser discounts like the ones they offer from their homepage. That’s ok because you’ll be getting a better price with the 40% off + $30 off combination anyway! Are You a Costco Member? Buy Discounted Nutrisystem Gift Cards! 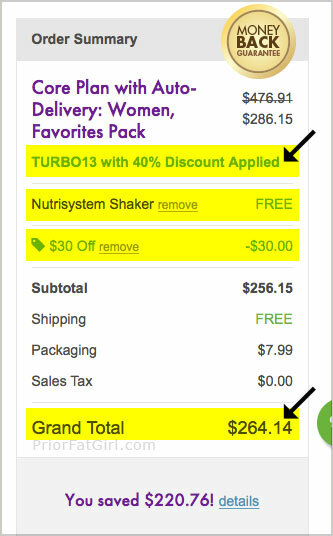 Want to get an even cheaper price on Nutrisystem? 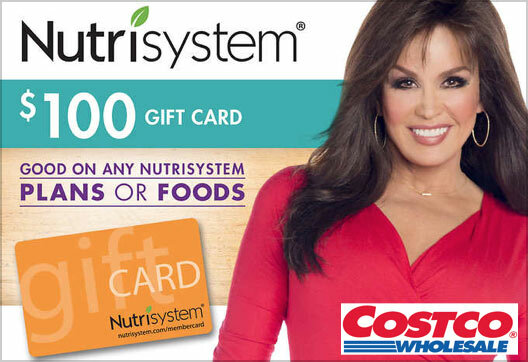 Most people don’t know that you can buy discount Nutrisystem gift cards at costco.com. In fact, these $100 gift cards are usually available for $79 or even less during seasonal sales. You can check today’s price here. So, there you have it. 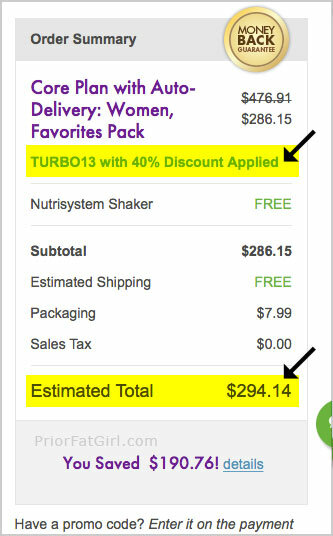 The chepest way to buy Nutrisystem with Turbo 13 plan is by clicking the 40% off promotion, and then using the $30 off promo code at checkout. Related: Up to 50% Off Weight Watchers Online! If you aren’t ready to commit to signing up for Nutrisystem and just want to try it out, you can find Nutrisystem boxes at Walmart with a week of food. While this isn’t the cheapest price per meal, it’s a good way to aquaint yourself with how it all works and whether the diet is for you! This entry was posted in nutrisystem and tagged costco, nutrisystem, walmart on June 25, 2018 by kevin.